What is the NCAA Transfer Portal? Since Clemson destroyed Alabama in the National Championship game two weeks ago the talk of the college football world has revolved around underclassmen declaring for the NFL Draft and student-athletes finding new homes. Last Wednesday, Jalen Hurts announced that he was transferring to Oklahoma to play his Senior season. As a graduate-transfer, Hurts will be eligible to play immediately. If things go as planned this Spring and Summer, it will mark the third straight season in which Oklahoma's starting Quarterback is a transfer. Hurts will have big shoes to fill as the past two Sooner QB's went on to win the Heisman trophy. Hurts' arrival also led to Sooners QB Austin Kendall to transfer to West Virginia. The loosening of the NCAA transfer rules in recent years and the birth of the Transfer Portal this past fall has created the musical chairs we are witnessing today where student-athletes are looking to take advantage of their limited window of opportunity and thus transferring from school to school in find the best situation possible. What is this mysterious transfer portal by the way? The transfer portal database was rolled out in October 2018 by the NCAA as a means for student-athletes to inform his or her current school of a desire to transfer. 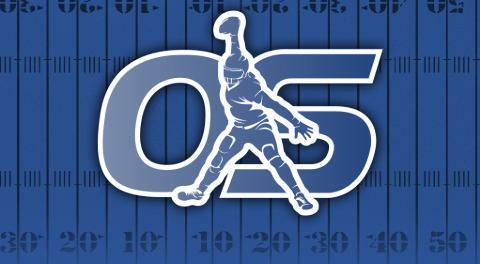 Once the player informs the school of their desire to explore other opportunities they are required to enter the athlete's name into the transfer portal database within two business days. This is done by a school compliance officer. The database displays the players NCAA ID, Student Name, Initiation Date, Institution, Division, Sport and Conference. Once the athlete's name is in the database, outside schools and coaches now have free reign to reach out to the athlete and essentially recruit them to their program. Free agency doesn't exist in college sports but with the new ability for a school to initiate contact and court anyone who enters the transfer portal we're getting closer. There are a couple of things to keep in mind when a player enters their name into the transfer portal. 1. They're not required to transfer. 2. Their current school can pull their scholarship starting the upcoming semester and they are not guaranteed a roster spot. 3. If they are a non-graduate transfer they are still required to sit out a season unless a waiver is granted. With players transferring schools being such a hot topic I decided to pick the brains of a few players who recently entered the transfer portal or went through the transfer process during their time in school at Senior Bowl media day. News broke in late December that Buffalo QB Tyree Jackson had entered his name in the transfer portal. At the podium, Jackson explained his thought process and decision to enter the portal by saying, “It was one of those things where my family wanted me to look at every single option. They wanted me to hear the coaches from the University at Buffalo. They wanted to put my name in the portal and see what happened. But after the last game, I knew that I was going to declare and they just wanted to make sure I was 100% and heard each option." Jackson also stated that he was never going to attend another school or do official visits. Although he entered the portal it doesn't appear that transferring was a real option for him. The same can’t be said for NC State QB Ryan Finley, who spent 3 years at Boise State before transferring to the Wolfpack in 2016. What drew Finley to NC State was the ability to reunite with QB Coach/Offensive Coordinator, Eliah Drinkwitz, who he had worked with at Boise State. Finley stated that NC State was the ideal fit because it was a fresh start, a starting opportunity with Jacoby Brissett graduating and that he would be running the same offense he ran at Boise. It was important to Finley to follow someone that he already had success under. Not all transfers are as perfect as Finley’s. West Virginia WR David Sills has one of the more wild backstories in this draft class. At 13-years old, Sills committed to USC and was seen as a QB prodigy. As the years passed and coaching changes took place Sills eventually landed at West Virginia to try his hand at QB. Sills stated that during fall camp his freshman year he was switched to WR for scout team purposes and due to the amount of success he had the coaching staff already had it in the back of their mind that was his best position fit long-term. Sills, however, left Morgantown after one year on good terms with the coaching staff in order to pursue a future at QB. Sills transferred to El Camino College where he started 10 games in his lone season there. After the season Sills had a workout with Ball State that required some reflection afterward. Sills said, “I knew Quarterback wasn’t for me anymore when I had a workout with Ball State at the end of the year and threw the best I’ve thrown the past 3 years and they basically said to me we don’t have a scholarship for you but you can come to Ball State and walk-on as an athlete. 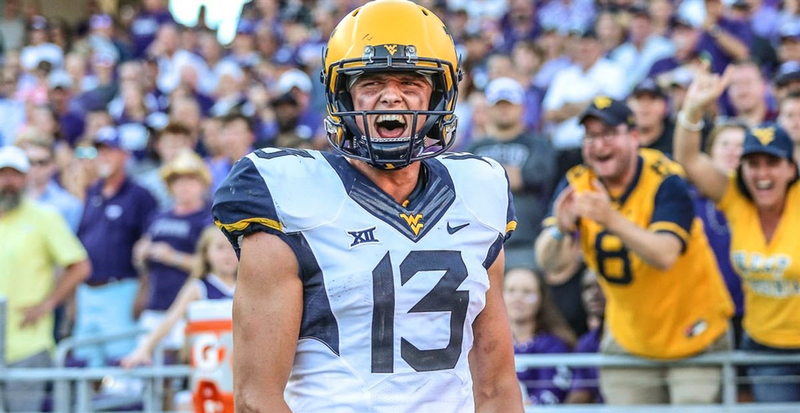 Really when that happened that’s when the switch flipped that Quarterback was out of the question.” Sills went on to explain that he was considering walking on at Cal and TCU before West Virginia Head Coach Dana Holgerson called and asked him to come back and play for the Mountaineers. Temple DB Rock Ya-Sin found a new home through the help of coaches as well. Ya-Sin played his first three years at Presbyterian College and once the school announced last year that they were changing conferences and would no longer give out scholarships the NCAA gave all players the ability to transfer and be immediately eligible. Ya-Sin stated that a few of the coaches on the Presbyterian staff had a working relationship with Temple Head Coach Geoff Collins and so they sent him his film. Right away Collins offered Ya-Sin a scholarship. Ya-Sin also stated he didn't send his film to any other schools and didn't let anyone else know he was transferring. Ya-Sin played well during his time at Presbyterian so it's interesting to think where he would have landed had the transfer portal existed just a year ago.